Here on Maui, May is celebrated as a month of festivities. 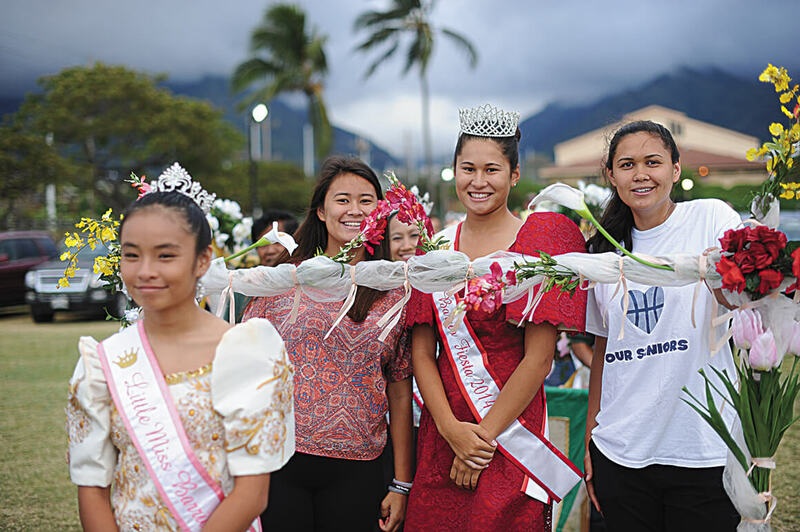 Starting on the first of May, which we call May Day—also known as Lei Day—almost all the schools have their May Day celebration filled with flower lei, dances (mostly hula dances) and various cultural presentations. All these May festivities remind me of the fiestas in the Philippines. Although fiestas are celebrated during various times of the year, the month of May seems to be the most festive time of the year in the Philippines, especially with the Flores De Mayo and Santa Cruzan celebrations. Flores de Mayo—Spanish for Flowers of May—is the May devotions to the Blessed Virgin Mary that lasts for the entire month. On the last day of Flores De Mayo, a Santa Cruzan is held. Santa Cruzan is a Spanish word for “Sacred Cross.” Santa Cruzan is a fiesta where a ritual pageant is held. It honors the finding of the True Cross by Helena of Constantinople, known as Reyna Elena and Constantine the Great. I won’t go into the details of the meaning behind these May fiestas as I know many of you already know. What I am curious about is if you have participated in the Flores De Mayo and Santa Cruzan where you’re from. Share with us your experience. It’s time for Kwento-Kwentuhan. There are countless fiestas in the Philippines and these festivals are celebrated in honor of the different saints. The Spanish rule in the Philippines that lasted for many years has taught the Filipinos to love fiestas of all types. The fiestas are celebrated for different reasons. Some fiestas are celebrated to thank the patron saint for a good harvest. Some are celebrated to show how much the people love the saint, and some fiestas are celebrated to ask for blessings from the saints. In addition to my vivid memories of Flores de Mayo and Santa Cruzan, there are a few more fiestas I remember celebrating while growing up in the Philippines. In June, we celebrated St John’s Feast where the tradition is to pour water on someone else, as a symbol of baptism. That was fun! We also celebrated the Feast of St. Anthony, and I must admit—the thing that I remember the most about this fiesta is the food! Fiestas in the Philippines are always celebrated with food, and lots of it! Of course there’s lechon, embotido, bibingka, suman, leche flan and more. Hmmm,… remembering and writing all of these dishes’ names is making me hungry! I remember that during the feast of St. Anthony, everyone was invited to join the feast at our house. It was an open house invitation to join with us in our celebration. 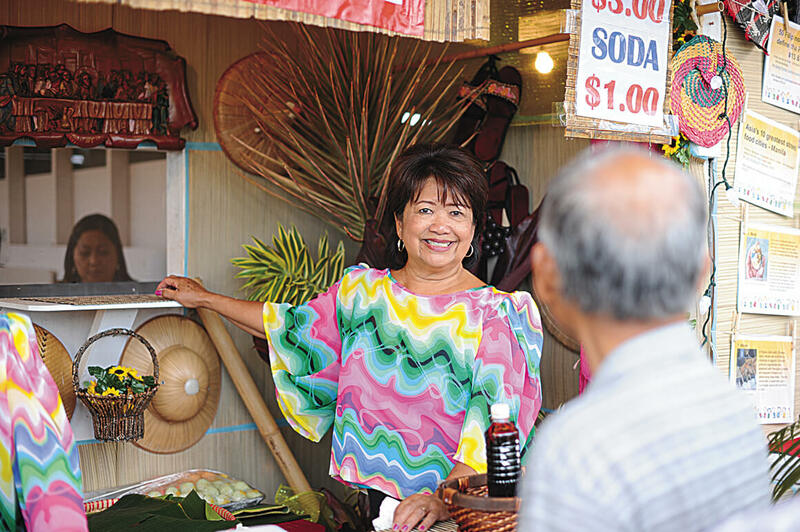 Back to Maui; it is heartwarming to see that Filipinos here still carry on the fiesta tradition by organizing an event called “Barrio Fiesta.” The 48th Annual Barrio Fiesta will be held beginning on Friday, May 26 at 5 p.m. through Saturday, May 27 at 10 p.m. Maui’s Barrio Fiesta is the longest running Filipino Fiesta in the United States. It’s loads of fun and a great cultural experience. Don’t miss it. See you there! Liza Pierce of A Maui Blog is an Interactive Media Strategist in Hawai‘i. 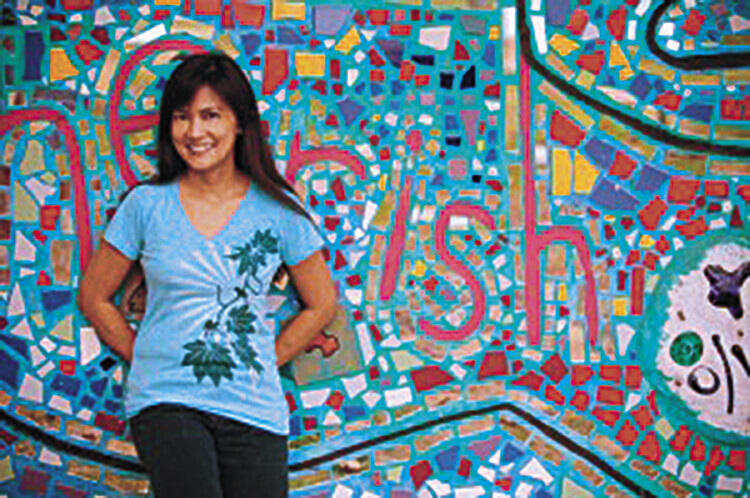 She started blogging in 2006 and she loves talking story online and spreading aloha around the world. She’s been living on Maui since 1994 and considers Maui her home. A wife, a mother, a friend…and so much more. She loves Jesus; Maui Sunsets Catcher; Crazy About Rainbows; End Alzheimer’s Advocate. Her life is full and exciting here on the island of Maui. Santa Cruzan celebrated at Maui’s 46th Barrio Fiesta back in 2015. “Fiestas… are celebrated with food and lots of it,” said Pierce. Elizabeth Whitehead is shown here at the 46th Barrio Fiesta. Note, the puto in the display behind Elizabeth looks ready-to-eat.